We are taking the show on the road this weekend. Next stop: Boise and the Nightfire Nationals! Atascadero, CA (August 13, 2009) – The 38th annual Pepsi Nightfire Nationals at Firebird Raceway is quite a magnet for drag racers in the western United States, especially the nitro funny cars. 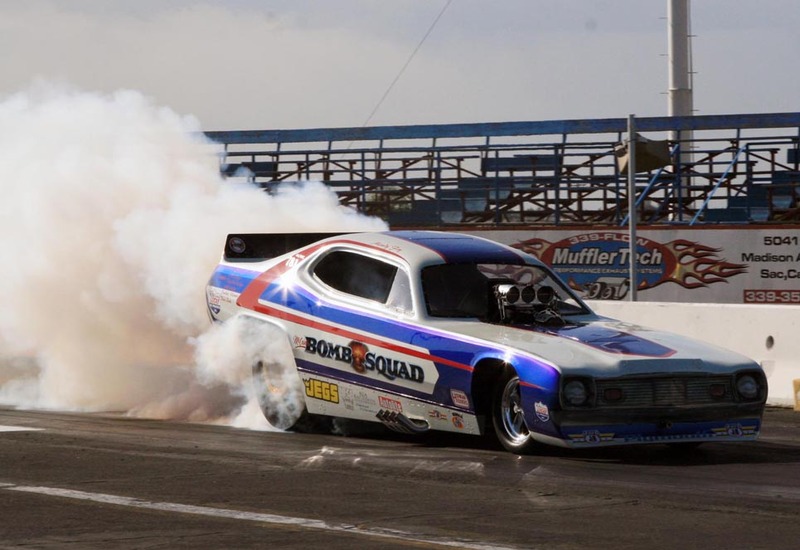 With driver Mendy Fry piloting their 240-mile per hour racecar, McCain’s Bomb Squad is heading for Boise, Idaho again this year to race against some of the finest nostalgia funny cars in the business. ← Sneak A Peek! The Making of Mendy Fry’s SCE Gaskets’ “Keeping It Sealed” Video!